Superdry women’s Esme long sleeve top. 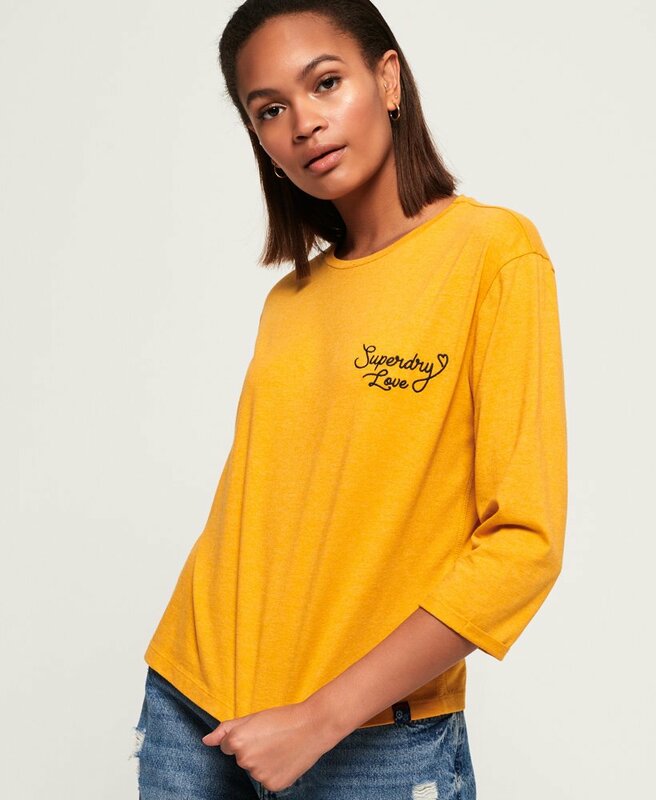 This soft touch top features a crew neck, three quarter length rolled sleeves and a feminine embroidered Superdry logo on the chest. The Esme long sleeve top is finished with a Superdry logo tab on the hem.